Pride is still an important protest for LGBT+ rights here and around the world. Edinburgh Gay Men's Chorus were proud to take part in the march singing some of our favourite anthems. 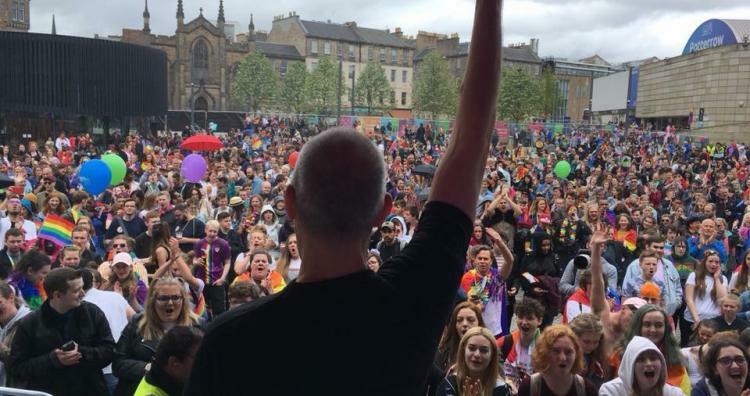 We were also really proud to be invited to sing on the main stage at Edinburgh Pride and we hope to be back next year!